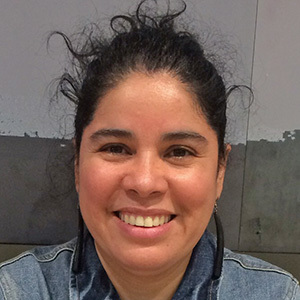 Lynda Avendaño (Santiago de Chile) has a Bachelor degree (Universidad de Chile and Universidad Autónoma de Madrid) and a Ph.D. (Universitá de Barcelona) in Art History. She is Associated Researcher in projects such as “Art globalization and interculturality. Critical Cartography of Art and Visuality in the Global Age” (I+D MINECO: HAR2013-43122-P, Universitá de Barcelona), as well as at the Center for Research on Latin American Aesthetics (CIELA, Universidad de Chile). She is a member of the board of the Association of Foreign Researchers at the Universidad Autónoma de Madrid, which represents people from America, Africa, Asia, Middle East and the Arab world. She is currently collaborating with the Rectorate of the Universidad de Chile. In 2016, the Rectorate of the Universidad de Chile entrusted her a study on “Budget Comparison within the European Higher Education Area (EEES)”. She has been a Visiting Researcher in the Dipartimento di Storia dell’Arte e Spettacolo of the Sapienza Università di Roma (Italia) in 2012 and 2014, as well as in the School of Communication of the Department of Performance Studies at Northwestern University (USA, 2009). Whereas in the former case her research focused on new media art and the death of the author in the context of net.art, in the latter case she was interested in contemporary performance in the United States, with special emphasis on the ways in which the categories of race, gender and sexuality are negotiated in the process of migration. The study was based on documents about U.S. Latino, Mexican, and Caribbean performance practices ranging from theatre and concert dance to social dance, fashion and speech. She was a member of the Coordination team for the First Biennial of Performance -DEFORMES- conducted in Chile in 2006 under the direction of the artist Gonzalo Rabanal. Recently she has been commissioned to write about the influence of DEFORMES on the artistic field, and its importance and projection for the coming years. Some of her publications are: “Monumento de Baja Altura”, Centro Cultural Borges, Buenos Aires, 2006; Gonzalo Rabanal “La imposibilidad del olvido. Trabajos sobre la memoria personal y colectiva”, 6 to Meeting of the Hemispherical Institute of Performance and Politics “Corpolíticas in the Américas”, New York University -Centro Cultural Recoleta, Buenos Aires, 2007; “Un halo Blanco Atraviesa un Espacio Cotidiano. Tres fotografías atadas por un mismo nudo”.Instituto Andaluz de la Juventud. Andalucía, 2008; “Bongore, sobre la senda de la hospitalidad en África y Japón; delineando y capturando nuevas configuraciones de identidades culturales”. Creación Injuve. Círculo de Bellas Artes, Madrid, 2009; “Cuadrilátero Urbano”, Laboratorio Evolutivo de Arte Contemporáneo, Puerto Plata. República Dominicana, 2011; among others.